House is behind current Sigma Nu House (which was formerly occupied by Alpha Gam). The Sigma Nu house is located at 1501 Sigma Nu Place in Lawrence, Kansas. It was originally the mansion of Governor Roscoe Stubbs in the days when Kansas governors did not have an official state mansion. 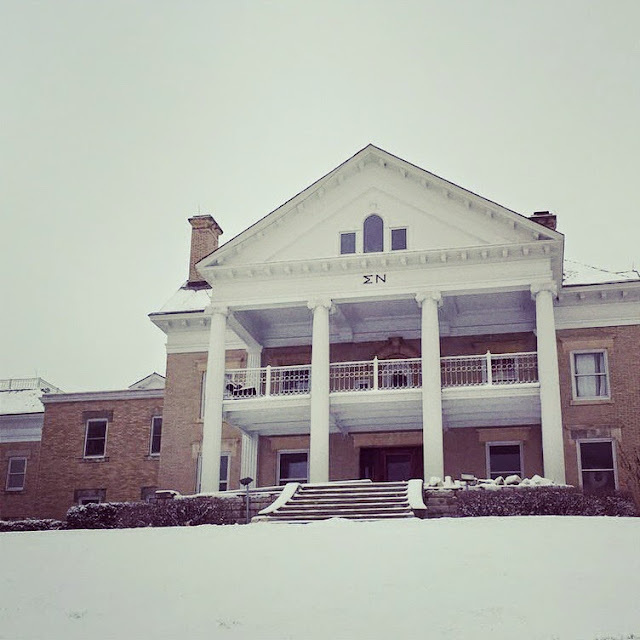 The surrounding estate has been gradually sold off to other fraternities and sororities so that now it sits in the middle of a cluster of college housing. The house its self is exceedingly robust and has been constantly expanded and updated. -UKansas Sigma Nu website. Sigma Nu moving back in as of 8/7/2007 (they recolonized). Alpha Gam lived there for one year while Sigma Nu was off campus. 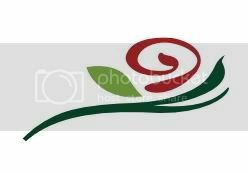 Chapter founded as local sorority, Gamma Sigma, in 1920. The 2 lower photos are of the house at 2005 Stewart Ave. it was sold to the university Endowment association, which consequently leased it to Lambda Chi. It has since been torn down. 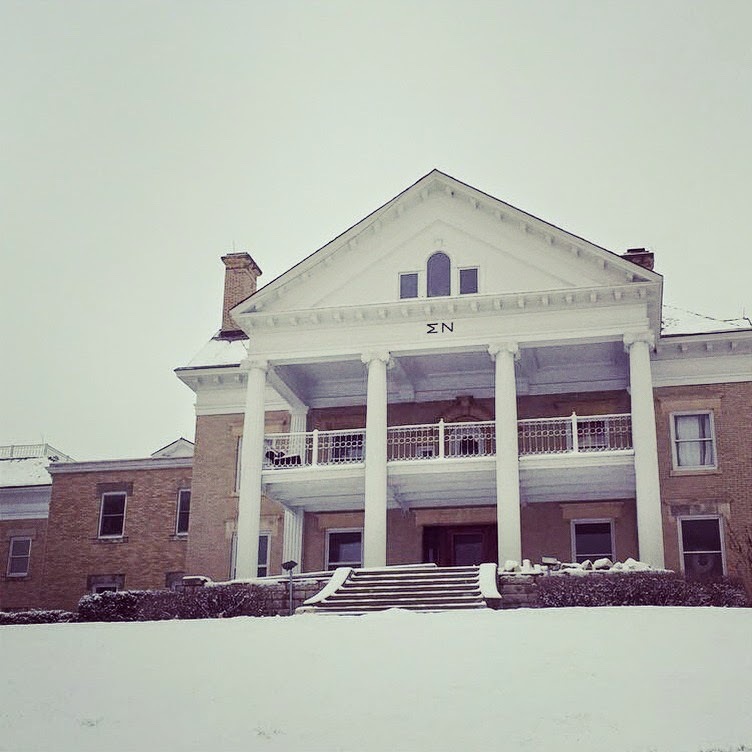 The Sigma Nu house is not pictured and was only lived in one year. In 2011, the chapter moved to 1100 Indiana St, the house pictured at the top. It is not near Sigma Nu, but is across the street from Corbin Residence Hall. The current house was originally built for Phi Psi, and later occupied by Acacia and Phi Kappa Tau. 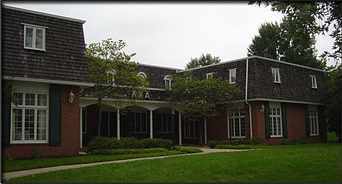 The Epsilon Beta House Association rented the house in in 2010, to be occupied during the 2011-12 school year. In 2011, the Fraternity Housing Corporation took over the lease and the assets of EBHA, and purchased the property from PKT. The FHC renovated the house and EB moved in the fall of 2011.